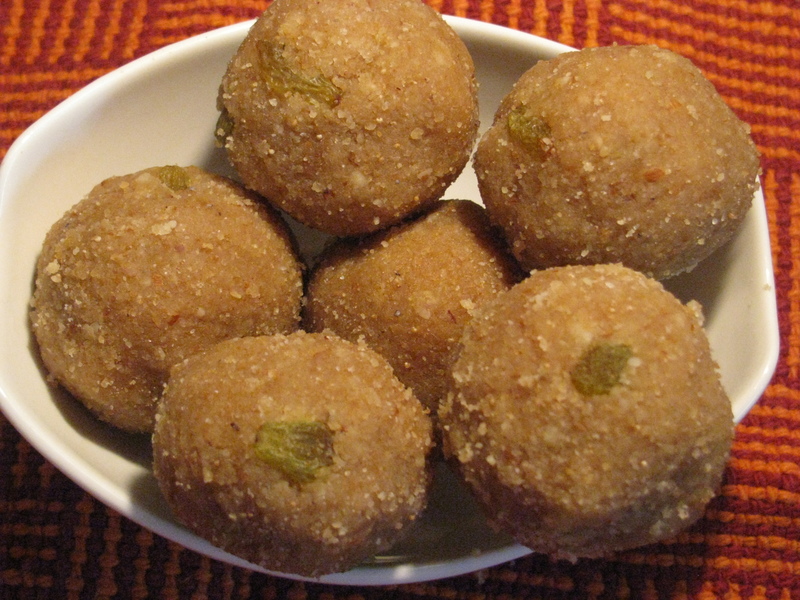 How to make Atta Ladoo Recipe? Home made Pinnies are quite popular in Indian families around the World. I don’t like to eat Sweets from the Market(because they are full of white Sugar), yes like to eat something that tastes Sweet, but at the same time it is healthy. And especially when it is Winter and like here in Canada, then it is the time to make Fresh Pinnies or Ladoos. There are so many ways to Make Pinnies. Today we’re going to Make Atta Pinnies. Mostly people use White flour or all Purpose flour, but I don’t use Sugar and White flour for couple of years. So in this Recipe it is up to you, if you want, you can use White flour, but I’ll recommend to to use Whole Grain Atta, that’s what I use for to Make Rotis and same way for the Pinnies. Put your Rasins, Cashew Powder, fried Flour and Jaggery Syrup and mix everything together nicely and then let it cool little bit and make Ladoos of this mixture for required size.